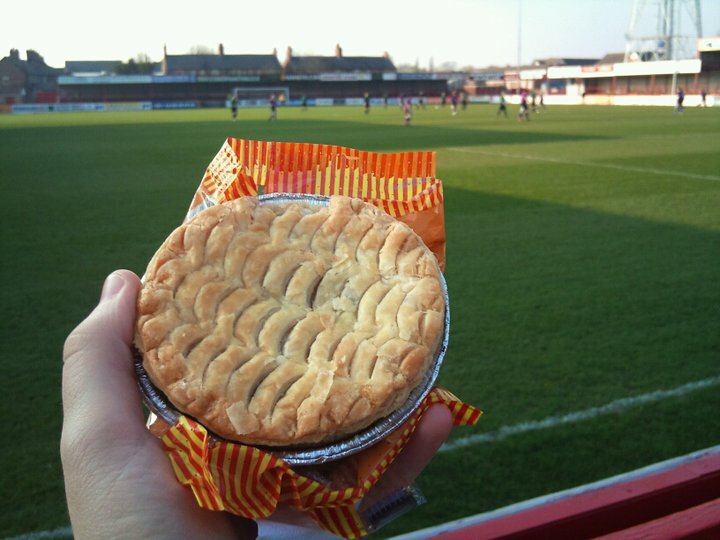 Comments: A lovely little pie from the non league ground, wonderfully presented through its endearing pattern on top. The pie has the look of a typical great football pastry treat, luckily it was more than aesthetics and tasted great. Splendid stuff. Also fun fact, Matt Smith who scored this game’s winner now plays for Leeds Utd, not bad going.